Switzerland's export growth is slowing, but remains positive. The export barometer has fallen again, and export sentiment among Swiss SMEs continues to deteriorate. But Switzerland has an ace up its sleeve: "Swissness" continues to be highly rated by international customers. Why the outlook remains positive on the whole. 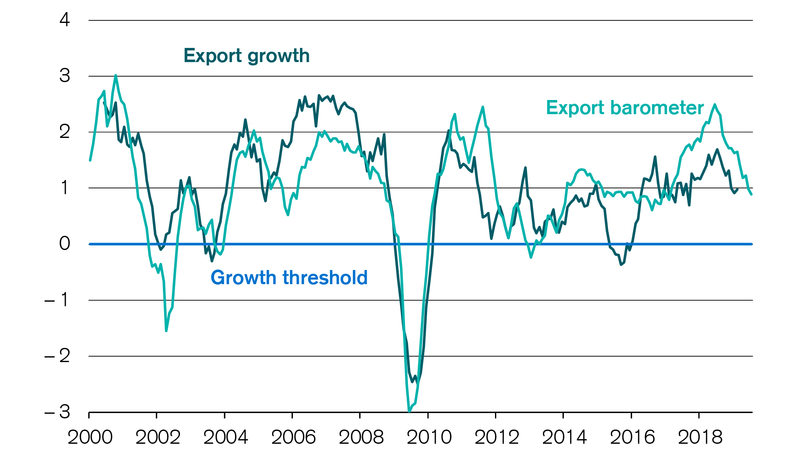 The expected normalization of the growth prospects for Swiss exports is confirmed: For the first time in two years, the Credit Suisse export barometer has fallen below its long-term average of 1.0 points. Even so, at 0.6 points it remains above the growth threshold. Credit Suisse therefore continues to anticipate rising demand for Swiss exports. Export sentiment among SMEs, too, is deteriorating due to the poorer growth outlook. Nevertheless, 47 percent of Swiss SMEs expect exports to increase over the coming quarter. On the other hand, 38 percent anticipate stagnation. Export sentiment among SMEs returns to normal. The decline in exports was particularly felt in the Swiss machinery, electronics, and metals industry (MEM industry). This was caused by slightly weaker growth in Europe as a result of the trade dispute between the US and China. 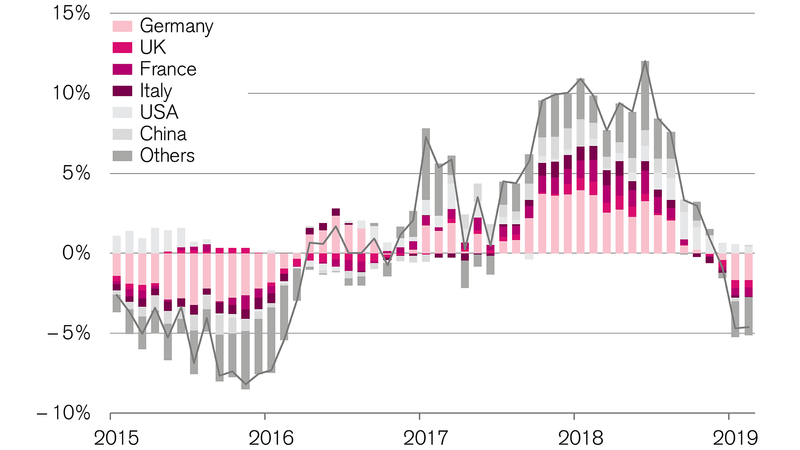 German automotive exports are falling particularly sharply. This is having a knock-on effect on the Swiss MEM industry, as a major supplier. The economic situation in the US – as second-largest trading partner – seems more stable at the moment. The Swiss MEM industry is feeling the effects of a weak European economy. Despite the subdued outlook for exports, Swiss SMEs can count on the appeal of the "Swissness" label. Sixty-nine percent of companies stated that their international customers value Swiss quality. In addition, 37 percent of SMEs expect their customers to be willing to pay more for it. Switzerland also scores highly as a business location. Economic and political stability along with excellent infrastructure ensure that 87 percent of SMEs retain their company headquarters in Switzerland. Do you have any questions about Swiss exports? We would be more than happy to help. Call us at +41 (0)800 88 88 71. Is active Switzerland's exports are growing more slowly. SMEs still optimistic.